A colony of honey-storing bees collects nectar from which it makes honey. Nectar is not available continuously, and to store much honey a colony of bees needs many foraging bees (over, say, 10 days old) whenever a nectar "flow" is available within their flight range. Bees may fly 2 km if necessary, but the greater the distance, the more energy they expend in flight, and the more nectar or honey they consume. 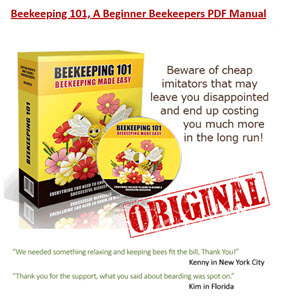 Thus, it is often cost-effective for the beekeeper to move hives to several nectar flows in turn during the active season. 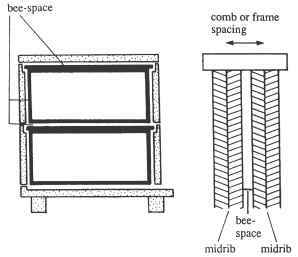 Figure 1 shows a movable-frame hive with two "deep" boxes. The hive in Fig. 2 also has two deep boxes for brood (i.e., immature bees, eggs, larvae, and pupae), and a shallow box for honey that is less heavy to lift. Any number of honey boxes (also called supers) may be added to a hive, but these are always separated from the brood boxes by a queen excluder, to keep the honey free from brood. Some empty combs in these supers may stimulate honey storage, but supers are not added far in advance of their likely use by the bees. It is essential that hives and frames have standard dimensions and that an accessory (spacer) be used to ensure that frames are always exactly the correct distance apart. Large-scale operations are done in five steps, which provide specific conditions for the successive developmental stages of the immature bees that will develop into mated and laying queens. 1. The larvae from which queens will be reared are taken from worker cells of a colony that is headed by a breeder queen selected for chosen genetic characters. 2. Very young larvae are transferred into cell cups mounted mouth down on wooden bars in a "cell-starter colony" that has been queenless for 2 to 4 h. This colony is made up of many (young) nurse bees, and little or no other brood for them to rear. Its bees build the cell cups further and feed the young larvae, and the colony can "start" the rearing of 45 to 90 queen larvae a day. 3. As the larvae grow larger, they receive more food and are better cared for if the number of nurse bees per larva is high. So it is usual to put about 15 cells in each of a number of colonies, where they are separated from the colony's queen by a queen excluder. 4. 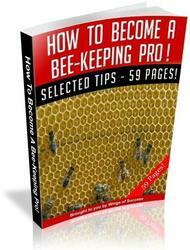 When the bees have finished feeding the larvae, they seal each immature queen in her cell. The only requirements of an immature queen during the next 7 days are appropriate conditions of temperature and humidity, and these are provided in an incubator. Each queen must emerge from her cell as an adult in a separate cage, for protection from attacks by other queens already emerged. a selected strain of honey bees. The apiary is located as far as possible from hives that might contain other drones; a distance of 15 km is likely to be safe, but it varies according to the terrain. When the queen is a few days old, she flies out and mates with drones, and a few days later starts to lay eggs. This shows that she is ready to head a colony.